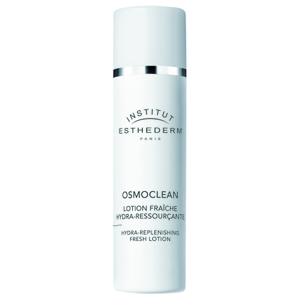 Purify and refresh your complexion with Institut Esthederm's Pure Cleansing Gel; an ultra-light formula developed for all skin types, especially blemish-prone, oily skin. 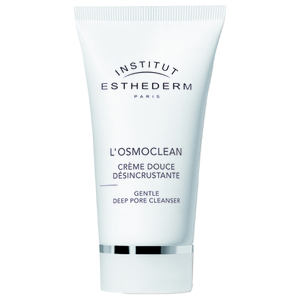 Transforming into a luxurious foam when massaged onto skin, the cleanser eliminates daily dirt and impurities without over-drying or uncomfortable tightness. The brand's Cellular Water minimises the effects of hard water on the skin, leaving you with a clear, shine-free complexion and restored radiance. Aqua/Water/Eau*, Sodium Laureth Sulfate, Cocamidopropyl Betaine, Peg-7 Glyceryl Cocoate, Peg-90 Glyceryl Isostea-Rate, Pentylene Glycol, Fructooligosaccharides, Lactic Acid, Peumus Boldus Leaf Extract, Carnosine, Algae Extract, Disodium Adenosine Triphosphate, Peg-12 Dimethicone, Ethylhexylglycerin, Laureth-2, Propylene Glycol, Butylene Glycol, Xanthan Gum, Fragrance (Parfum), Disodium Edta, Potas-Sium Sorbate, Blue 1 (Ci 42090). *CELLULAR WATER (Aqua/Disodium Adenosine Triphosphate/Carnosine/Mineral Salts).